A father who murdered his six-year-old daughter after a custody battle has been denied legal aid, a court has heard. 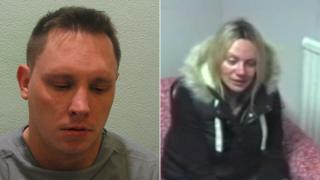 Ben Butler, 38, inflicted catastrophic head injuries upon Ellie at their home in south-west London, in October 2013. He was jailed for a minimum of 23 years in June 2016. Ellie's mother Jennie Gray, 38, was also jailed for 42 months for child cruelty and attempting to pervert the course of justice. Both followed a preliminary inquest hearing into Ellie's death at Croydon Coroner's Court via separate video links from prison. Dame Linda Dobbs, the retired High Court judge appointed to oversee the proceedings, said it would be "highly desirable" for Butler to have a lawyer at the inquest, which starts in March. But, she said, there was a "risk" that neither Butler, nor Gray, would be legally represented. Butler interrupted the hearing to say he was "completely out of the loop" and that the process hadn't been explained to him. The court heard a lawyer had agreed to act for Butler on a temporary "pro bono", or free, basis while he appealed against the decision to deny him legal aid. Gray complained she hadn't received legal documents sent to other people involved. Decisions on the scope of the inquest and whether a jury will be required will be made in the New Year. Butler was convicted in 2009 at the Old Bailey for shaking Ellie as a baby, although this was later quashed on appeal. The couple then won a High Court judgement to have Ellie returned to their care in 2012. Mrs Justice Hogg had sided with Butler despite objections from police, social services and Ellie's maternal grandfather, Neal Gray. At the time, Mr Gray - who had cared for Ellie since she was a baby - had allegedly warned the judge she would have "blood on [her] hands".